Whew! It's been quite a month! I left my old job at the end of May, then had a crazy four-day long weekend filled with travel, going to an amusement park with extended family and being asked to be a bridesmaid in a friend's wedding! Then it was off to out-of-state orientation for two days with the baby and my mom coming down to help. Then, immediately after that, two days at the new job. It's taken a few weeks to get a sense of our new normal and our new schedule. I'm learning a lot at the new job which is exciting, but I also miss the sense of security the old job gave me where I really was confident in what I was doing! In the midst of all of that, our baby boy started walking and we both celebrated our birthdays! This past weekend was the first weekend in a long time where I sat and did a whole lot of nothing for most of the time, and it was glorious. 1. This book. My son got this for his birthday from a friend and it is the coolest book ever. Touch and feel books are great, but the stuff you touch can get gross quickly and it might not be easily washable. This one is super cute, durable and easy to wipe down. My kid carries it around the house and loves touching the front cover. 3. This album is what I've been listening to at night and often throughout the day. I want to memorize more scripture. I have no issues learning the words of a worship song. These songs are straight from scripture, not just derivative of it. I've memorized about three small passages in a week thanks to this! 4. This recipe. I've been eating this constantly for a few months. I usually get tired of eating the same thing over and over again, but it hasn't happened yet. If you don't have an Instant Pot, this recipe is enough of a reason for you to get one right now. 5. This lipstick. I don't like normal lipstick. It feels goopy. There's a popular long-lasting lipstick out there that people sell on Facebook that dried out my lips and was clumpy. This is a fraction of the price and works so much better! 6. This is more than just a little light, but I'm still on a high after the date night my husband planned for my birthday! It was the first time someone other than he or I put our son to bed as my parents were in town. It was our first evening date in a year! 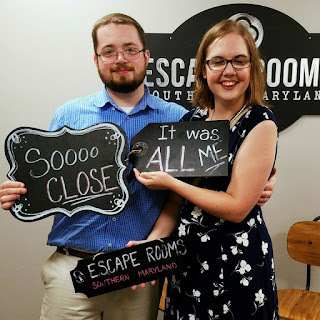 He bought me a dress and a necklace to wear and we went to dinner on the water and then to an escape room. I feel like I learned more about my husband and it was so fun to collaborate on something other than the usual "whose turn is it to change this poopy diaper?" 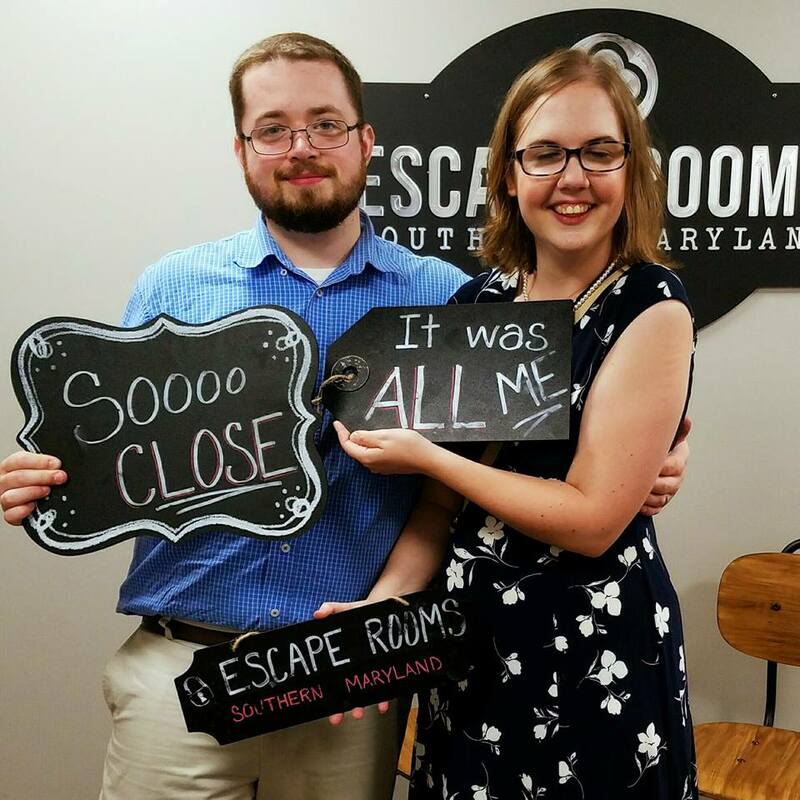 The owner said no group of just two people had ever escaped from the room and we made it the furthest she'd ever seen for a pair. The puzzles required a perfect combination of each others' different strengths. Yeah, my eyes are closed in the picture...of course.